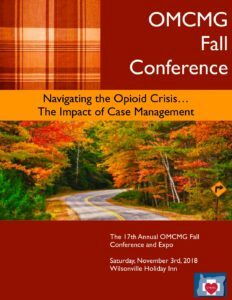 Promote your company at OMCMG’s 17th Annual Fall Conference. This engaging conference offers you dedicated exhibit and networking time for you to connect with conference participants about the products and services your company provides for their clients and customers. And, our designated breaks encourage attendees to visit sponsor booths and learn about the new and updated products and services offered. Download Sponsorship and Event information forms, HERE.